The Fiat Mk. III, produced from 1961-1967, encompassed two models: the 1300 and 1500. They utilised the same body design, and virtually the same engine architecture, simply distinguished by a difference in bore and displacement. The 1300 was fitted with a 1295cc OHV inline-four cylinder engine capable of a modest 45kW, while the 1500 gained a 1481cc unit with a peak power output of 54kW. Engines were longitudinally front-mounted, sending power to the rear wheels via a four-speed manual transmission. This 1967 1500 however, is now fitted with a later-model 1800 Twin Cam engine, with a five-speed manual and limited slip differential. The engine had its bottom end bearings replaced two years ago, and features a new exhaust system as well as alloy wheels with four new tyres, and front brake discs and pads. It’s a gorgeous old Italian, with classic three-box proportions with a hotted-up drivetrain that should make it an absolute hoot to drive. 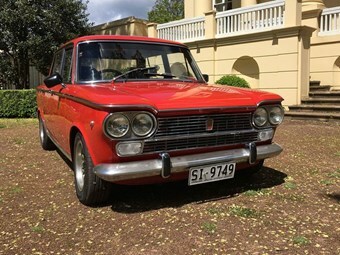 It may not be 100% original, but if you’re after a classic Italian that you can really enjoy, this could fit the bill nicely at its advertised $13,000 price. The car is based in Tasmania, and you can check out the full listing here! The results are in! Here are your winners!